On Tuesday 29 October MDA hosted its annual InformationMD! Seminar at its Head Office in North Melbourne. The all-day event was a great success with the MDA Conference Room packed to capacity with attendees comprising members of the MD community, staff from schools and several service providers. InformationMD!is a comprehensive multidisciplinary seminar designed to present the latest up-to-date information to members of the MD community to educate and raise awareness. 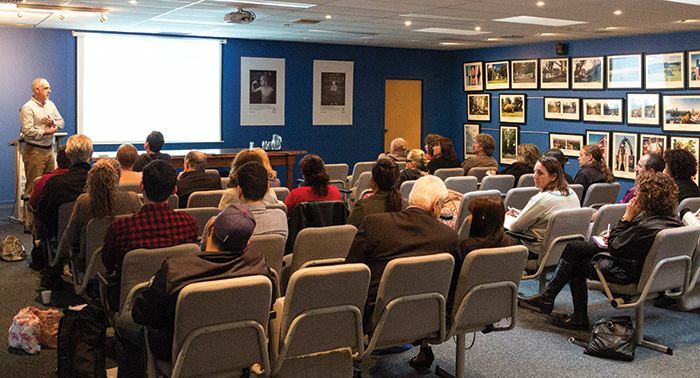 Presentations included many different aspects from paediatric to adult NMD disorders and the day also provided the opportunity for attendees to personally meet with leading specialists and researchers. Many attendees commented on the wealth of knowledge provided to them throughout the seminar and noted how much they learned from the experts in their fields. One attendee noted that they attend every year because there is just so much new research and information being produced that it’s hard to keep up, so knowing that MDA hosts the seminar makes keeping current with knowledge a lot more attainable. MDA would like to thank all those who attended and a special thanks to all the specialists and researchers who so kindly donated their time to helpInformationMD! 2013 be the outstanding event that it was.